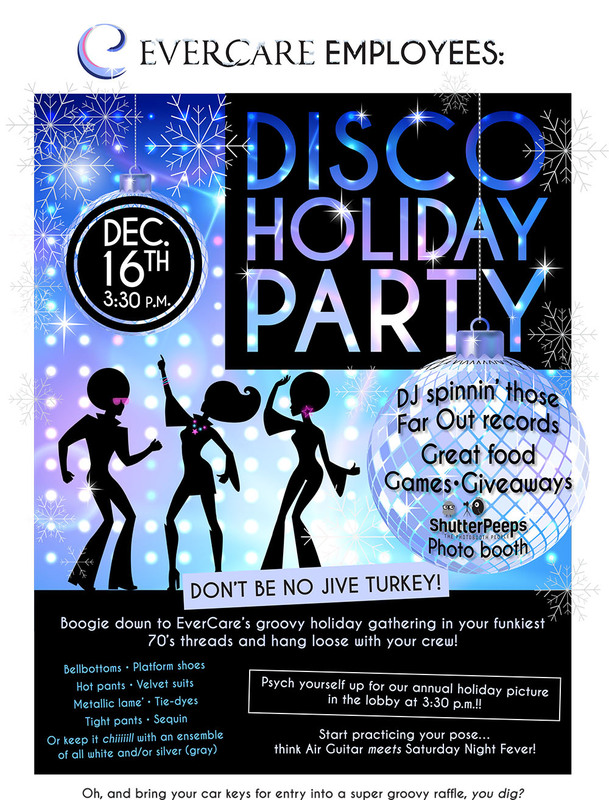 The EverCare team boogied down at our groovy holiday gathering on Dec. 16. The staff dressed up in their finest 70’s threads and danced the night away! Great food, games, giveaways, and a funky photo booth were enjoyed by all. 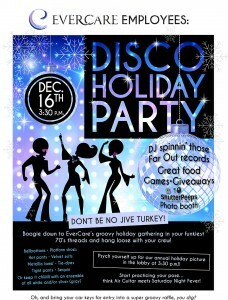 View photos of our Disco Holiday Party here.